Download "TOWN OF TRUCKEE. Receives general direction from the Director of Public Works/Town Engineer." 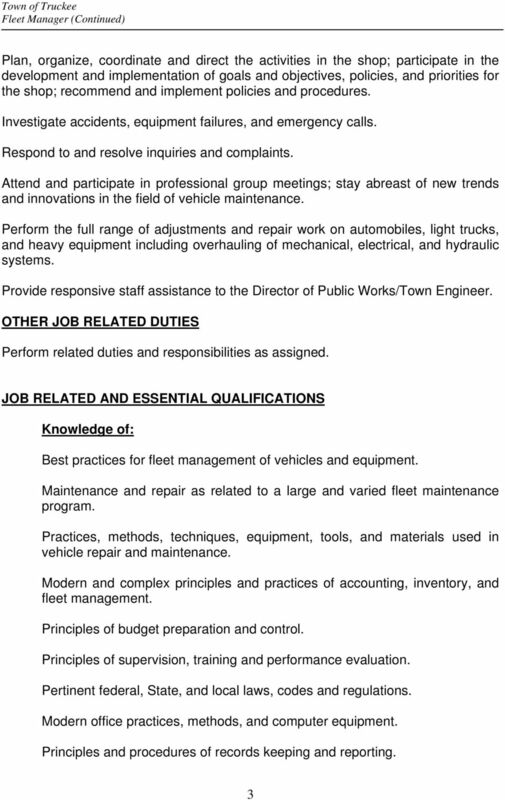 1 TOWN OF TRUCKEE FLEET MANAGER DEFINITION To supervise, plan and coordinate the activities and operations of the Town s fleet maintenance and repair program; to coordinate assigned activities with other divisions and outside agencies; and to provide highly responsible and complex staff assistance to the Director of Public Works/Town Engineer. 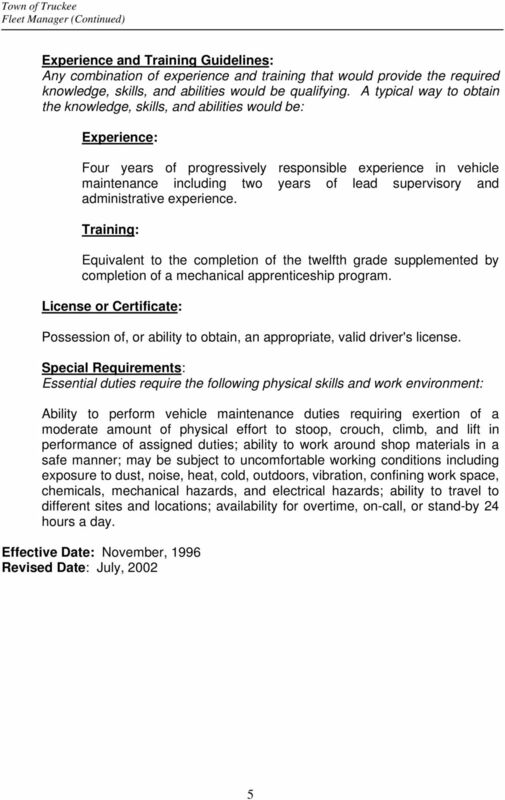 DISTINGUISHING CHARACTERISTICS This is a first-line supervisor classification level. The employee supervises, assigns, and reviews the work of subordinates in the assigned unit and performs the more complex work of the unit. The position assigned to this class carries out necessary activities without direction except as new or unusual circumstances arise. Judgment is required both in interpreting established policies, goals, and objectives, and in applying concepts, plans, and strategies that may deviate from traditional methods and practices. Incumbents recommend policies and procedures consistent with the goals, objectives, directives, and regulations that are developed by management staff. 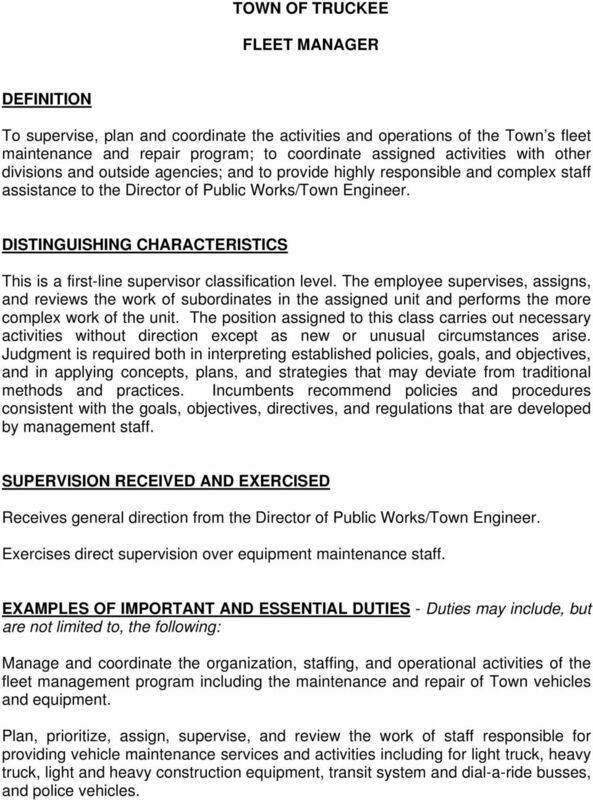 SUPERVISION RECEIVED AND EXERCISED Receives general direction from the Director of Public Works/Town Engineer. Exercises direct supervision over equipment maintenance staff. 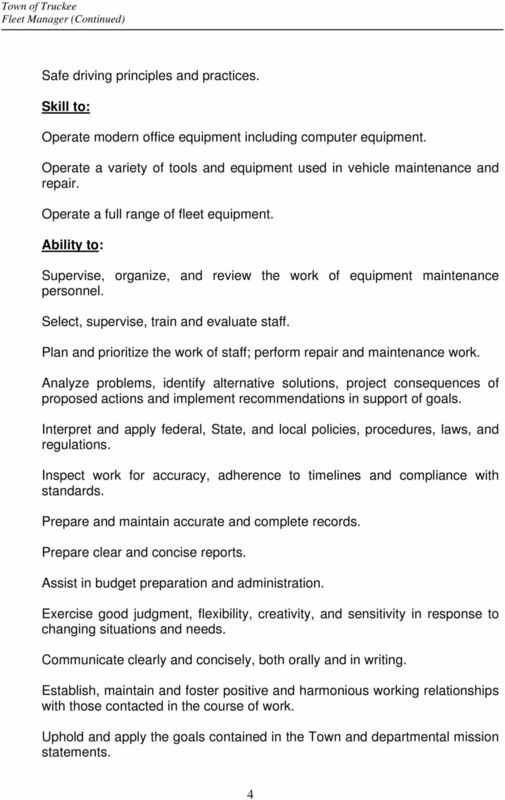 EXAMPLES OF IMPORTANT AND ESSENTIAL DUTIES - Duties may include, but are not limited to, the following: Manage and coordinate the organization, staffing, and operational activities of the fleet management program including the maintenance and repair of Town vehicles and equipment. 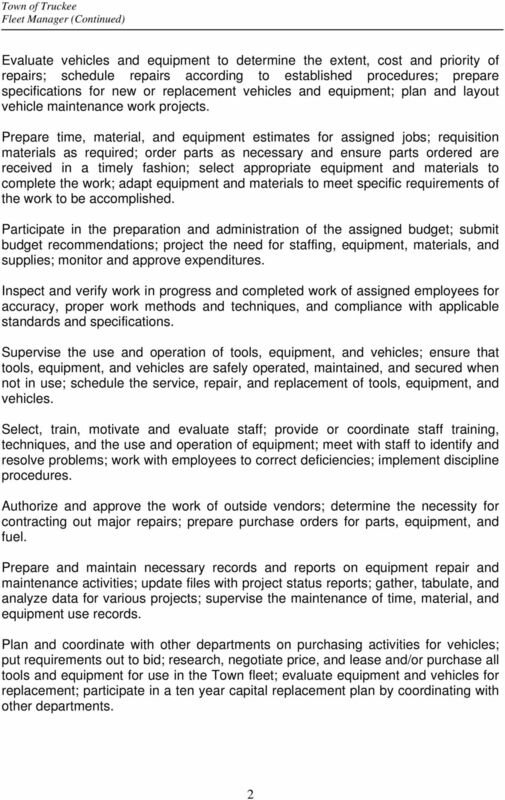 Plan, prioritize, assign, supervise, and review the work of staff responsible for providing vehicle maintenance services and activities including for light truck, heavy truck, light and heavy construction equipment, transit system and dial-a-ride busses, and police vehicles.